Athens Art & Culture Association in cooperation with AthenStyle Hostel presents the painting exhibition “HORROR GALLERY” by the Spanish artist Zé Carrión. Zé will exhibit a selection of artworks representing a way of expressing horror through faces of normal people. The oversized portraits, made of acrylic and wax, express deep feelings through their eyes in colours. When you enter the room, and all their eyes are focused on you, it’s normal to feel a little bit scared. With “HORROR Gallery” the artist shows to the public that real people are scarier than monsters. They are all known for committing immoral atrocities against the human race. Meet the artist at the exhibition opening on Friday, July 1st at 21:00.
.:: Athens Fringe Festival 2011 ::. Athens Fringe Festival will run from June 20 until June 26, 2011 and will turn the city into a great celebration of theater, music, art.
.:: U | s | I | n | A | r | t | Bazaar ::.
.:: Balkans Beyond Borders Short Film Festival 2011 ::.
.:: ARRRGH! Monsters in Fashion ::. Capoeira and Samba at AthenStyle rooftop under the Acropolis! On the occasion of AthenStyle 3rd Birthday we had a special moment of capoeira and samba representation. The protagonists were CM Carlito and Sofia Lizzio who entertained us with their dancing skills. grown, ethically traded coffee to help create a better future for farmers. at our famous rooftop bar!
. :: World Environment Day ::. As the title of this exhibition, Polyglossia relates both to artists of Greek descent who were born or live and work outside Greece, in the US or Europe, and to a desire to cover every means of visual expression (painting, sculpture, installations, environments, videos, multimedia works, photography, drawings) employed by artists of different generations.
.:: Colours Within Exhibition ::.
.:: Greek Architects of Istanbul in the era of westernization ::.
.:: The Memorial: 16 Artists Propose ::. You are probably watching TV and images look often quite dramatic but this is what media like to do! 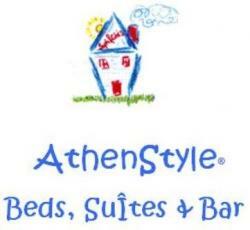 I’ve been living in Athens now for a month and can tell you that my daily life and the life of AthenStyle hostel staff so as of most Athenians is not affected in any way. Of course there are people making demonstrations in front of the Parliament, and this is in all peoples’ rights everywhere in the world, but it is enough to avoid that area during demonstrations if you don’t want to hear too much noise or be worried about getting involved! Visiting monuments, going out partying, shopping and enjoying Athens is not dangerous in any way and you should not be concerned. We are located in the heart of the city and our area is totally safe. Like the other day, after my work at the hostel was finished, I’ve spent some time in the National Garden with a beautiful girl that I met that day during the free city walk that I’m organizing. I didn’t know what is going on in the city center at that time, we weren’t affected. Just after some friends called us to meet with them, we were informed that we better avoid Syntagma Square. I’ve started hearing the noise and I then understood that people protesting there. Surprisingly, on the other side of the park it was the quietest day, like in the whole city, no sign of tension. Athens remains the same: breathtaking!